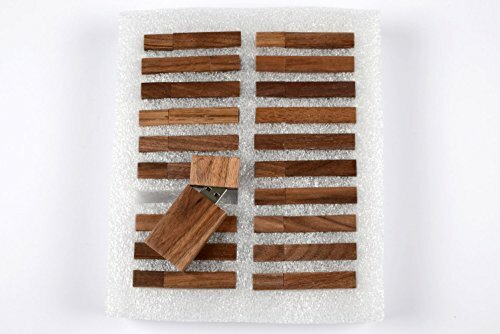 This listing is for 20 total units of the Wooden Grove Stick Walnut USB 2.0 Flash drives, in 4GB drive capacity. These drives are made from real eco friendly Walnut wood. They work great for laser engraving and UV printing. Fantastic for craft workers, artisans, and special unique gifts for engagements, weddings, or just something for that special someone. All our drives come with satisfaction guaranteed. If there is any issue we will happily work with you to ensure satisfaction. Drive dimensions: 60mm x 28mm x 10mm. Made from real eco friendly Walnut Wood. Samsung Grade USB 2.0 Chipset. USA based company servicing clients daily. Bulk pack of 20 drives total.